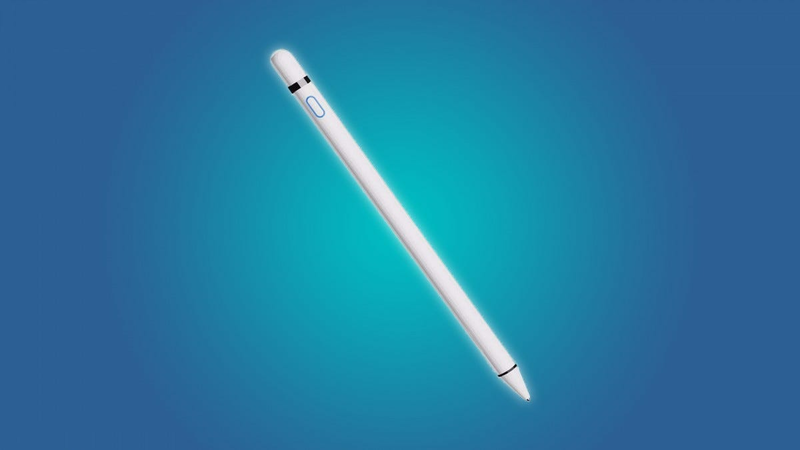 If you own a new iPad, then you’re probably familiar with the Apple Pencil. It’s the ultimate stylus for writing notes and creating digital art. Thing is, the Pencil is pretty pricey. Don’t worry, there are plenty of great alternatives. As soon as the Apple Pencil hit the market, it raised the standard for all tablet styluses. It’s sleek, easy to use, and it’s built for both casual note takers and professional digital artists. But with a $90 to $130 price tag—for the first and second generation Pencils, respectively—buying an Apple Pencil can be painful. That’s why 3rd party manufacturers are clamoring to create their own Apple Pencil alternatives. Some of these devices are almost identical to the Pencil, while others add extra features, like shortcut buttons. And while you might assume that these styluses are cheap or crappy, they’re actually pretty great. In some situations, a 3rd party stylus could be more useful to you than an Apple Pencil. That being said, the stylus market is full of crappy brands that want to make a quick buck. That’s why we’ve taken the time to find the best Apple Pencil alternatives, for everyone’s needs. By the way, if you’re using an older iPad that isn’t compatible with the Apple Pencil, then you’ll want to buy a stylus that uses Bluetooth. It’s an annoying hurdle, but the Apple Pencil relies on special in-screen hardware to communicate with iPads. Older iPads don’t have this special in-screen hardware, so they only work with Bluetooth styluses. 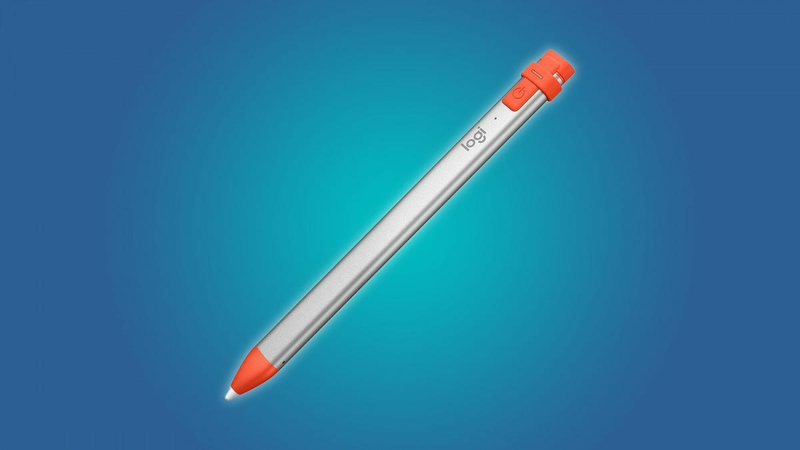 The Logitech Crayon is one of the most popular Apple Pencil alternatives, and for good reason. It’s a well-built, easy to use stylus that performs like an Apple Pencil (for $30-$60 less). 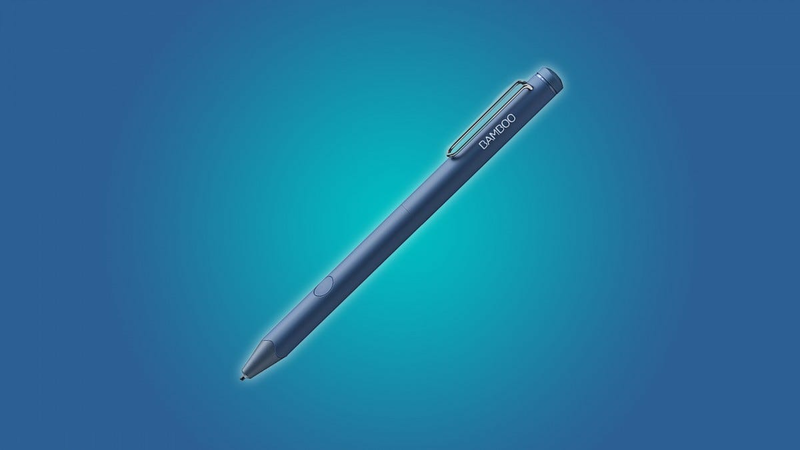 The Logitech Crayon is built with Apple Pencil technology, so you don’t have to spend any time pairing it to your iPad over a Bluetooth connection. You just use it, and it works on a whim without any input lag. Plus, the Logitech Crayon holds a 7.5-hour battery life, and it fully charges in less than an hour via Lightning cable. Really, the big difference between the Logitech Crayon and the Apple Pencil is that the Crayon doesn’t have pressure sensitivity. But, you can adjust your drawing angle to simulate pressure sensitivity (the Crayon’s tip makes thin lines, while its edge makes thicker lines). If you’re interested in graphic design, then there’s a good chance that you’re already familiar with Wacom’s digital art devices. They’re durable, customizable, and extremely easy to use. Plus, it can work with older iPads that aren’t Pencil compatible. 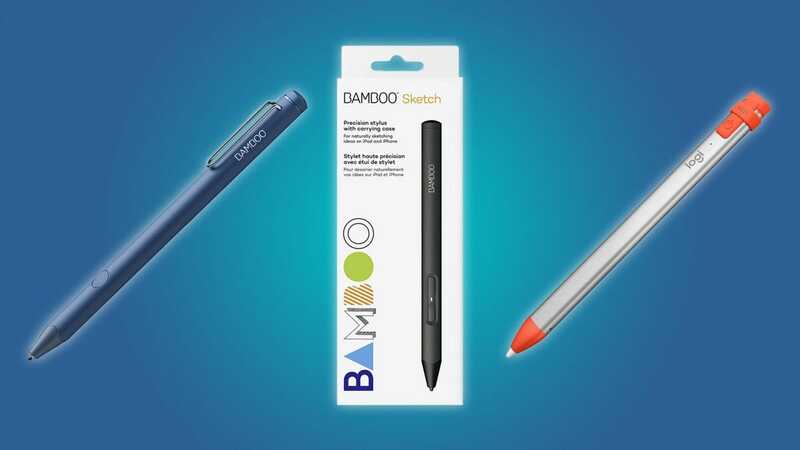 The Wacom Bamboo Sketch is no exception. It’s a premium stylus that, like the Apple Pencil, has precise pressure sensitivity features, an ergonomic design, and a 15-hour battery life (but it charges via micro USB, not Lighting). 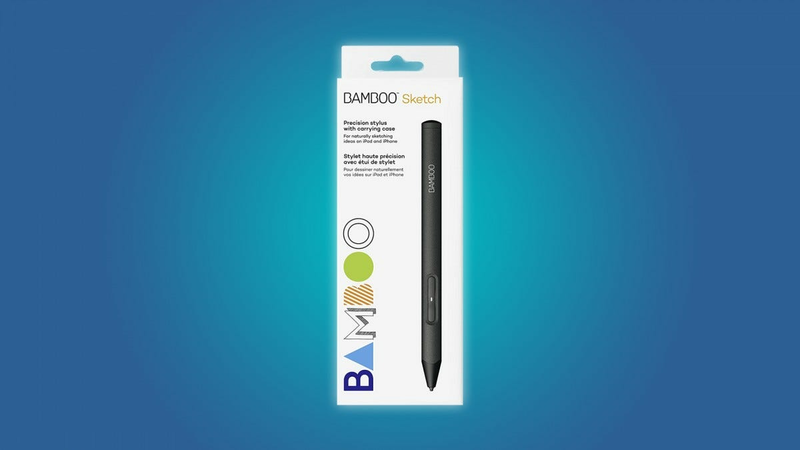 In addition to these standard stylus features, the Bamboo Sketch also has two programmable shortcut buttons. These buttons can be programmed to switch through Photoshop tools, alter brush size, trigger keyboard shortcuts, or anything else you can imagine. When compared to the Apple Pencil, the Wacom Bamboo Sketch only falls short in a few minor areas. For one, its some of the Bamboo’s features (like pressure sensitivity and built-in buttons) require Bluetooth pairing to work with an iPad. Also, the Bamboo Sketch doesn’t have palm resistance features, so you’ll want to grab a graphic design glove if you tend to rub your hand on drawing surfaces. The Adonit Pixel is a good, premium alternative to the Apple Pencil. It’s pressure sensitive, it has two built-in shortcut buttons, and it has a palm rejection feature that filters out any accidental touchscreen inputs. It also has a 15-hour battery life, but it’s charged by a peripheral USB device, not a Lightning cable. Really, the only Adonit Pixel’s only shortcoming is that it needs to connect to your iPad via Bluetooth. 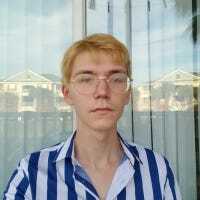 But that’s just a minor inconvenience, and it only takes up about a minute of your time. Plus, this Bluetooth feature ensures that the Adonit Pixel can connect to older iPads that aren’t Pencil-compatible. If you’re looking for an affordable, feature-packed alternative to the Apple Pencil, then you should check out the Wacom Bamboo Fineline Stylus. It has a pressure sensitive tip, a programmable shortcut button, and a 15-hour battery life. Plus, it has a retractable tip and a pen clip, so you can keep it in your pocket while on the go. The Bamboo Fineline Stylus charges via micro USB, not Lightning cable. And, unlike the Apple Pencil, the Bamboo Fineline needs to connect to your iPad via Bluetooth to enable pressure sensitivity features (that being said, it can connect to older iPads). The Fineline also doesn’t have palm resistance features, so you’ll want to grab a graphic design glove if you tend to rub your hand on drawing surfaces. If you’re looking for a super affordable Pencil alternative, then you should check out the Xiron stylus. Like the Apple Pencil, you can use the Xiron stylus without a Bluetooth connection, it just works. Plus, it has a 12-hour battery life, and it charges via an included USB. 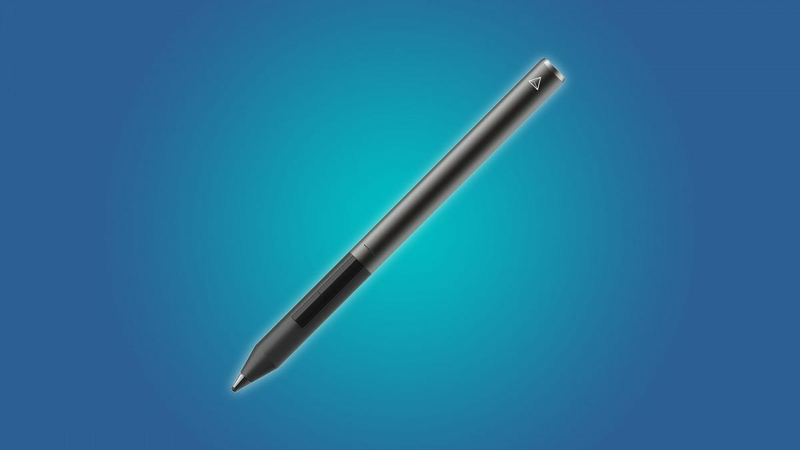 The Xiron is a very basic stylus. But for $28, it’s hard to complain about the Xiron’s shortcomings. It doesn’t have pressure sensitivity features or built-in shortcut buttons, but you technically don’t need those features to take notes or create digital art. The Xiron also doesn’t have any palm rejection features, but it does come with a graphic design glove (that’s a $10 value, in case you’re wondering).